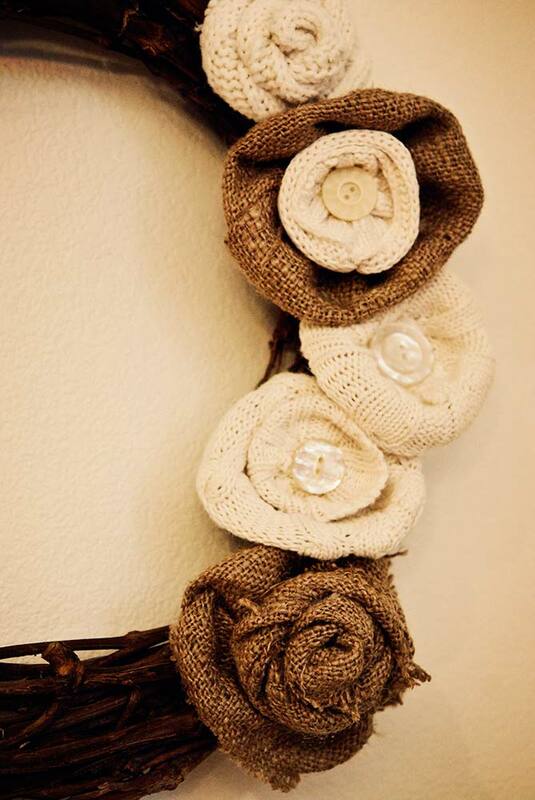 Sweater Flower Wreath - Jill Ruth & Co.
A burlap rose goes perfectly with the sweater flowers. Vintage buttons for the flower centers are attached with hot glue or thread. I used hot glue to attach the flowers to a grapevine wreath that I picked up at a garage sale. 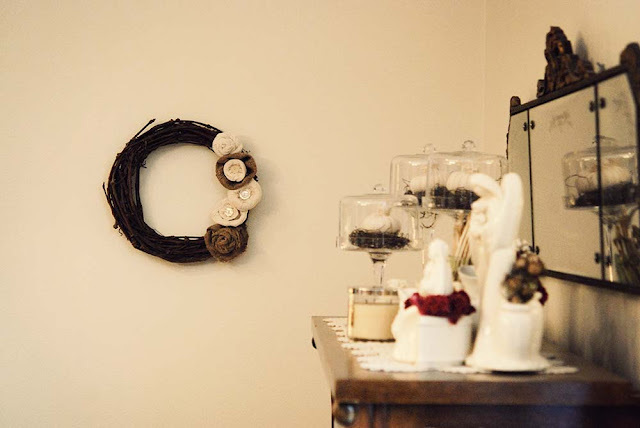 The wreath just needed the old embellishments removed and it was ready for new life! I'm linking up this week with Kindra. 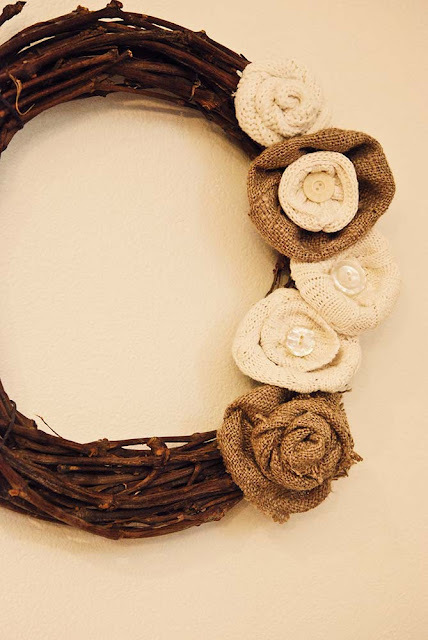 We may be getting some snow here today so a sweater wreath is perfect for the weather! Oh, I love it. It's nearly time for sweaters here, too. No snow yet, but it's been to our north. 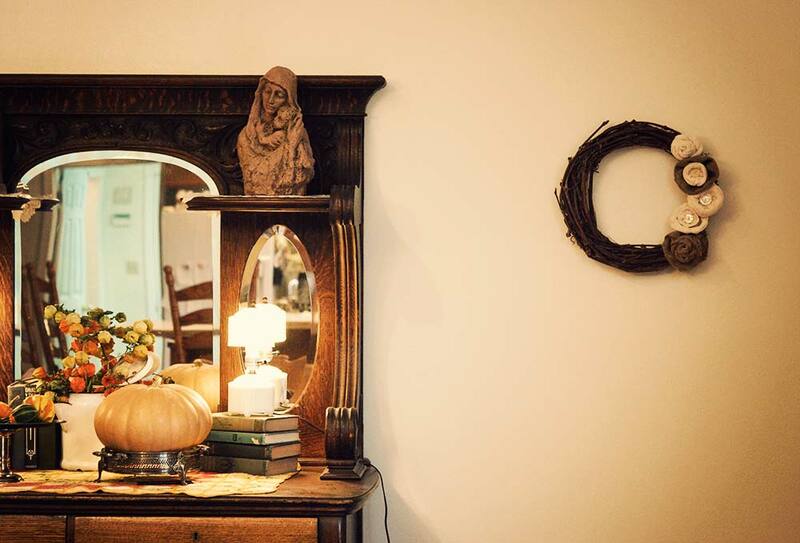 Have a great Tuesday and enjoy that new wreath. This is adorable..I love it! The sweater with burlap is great! Your buffet looks so pretty also. Great idea! I love the different textures with the burlap. And those flowers could be used as package decorations, too. If you have more scraps. I always seem to have too many. Clever use of cast off clothing and another of those things where I smack my forehead and thin, "why didn't *I* think of that?!" Would be very cool attached to a yarn wrapped wreath too. Fun fun!! Another great idea!! I made a pin out of a sweater rose. I love the wreath idea!! I can't wait to make these sweet sweater flowers! Thanks for sharing!